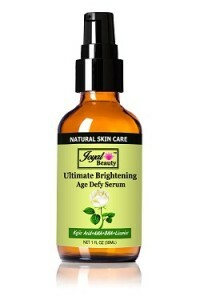 What does the Joyal Beauty Age Defy Serum do? The Joyal Beauty Ultimate Brightening Age Defy Serum reduces the appearance of fine lines and wrinkles, tightens, smooths and softens your skin and gives your complexion a healthy glow, all in just 4 weeks. Sagging skin is plumped-up, age spots and sun spots reduced and your skin looks and feels younger, firmer, brighter and more radiant. Glycolic acid is a powerful exfoliant that works to smooth and soften your skin, removing dead skin cells and giving your complexion a more youthful radiance. Due to its exfoliant properties, this serum with 1.5% glycolic acid is very helpful in clearing up acne and in brightening your skin. 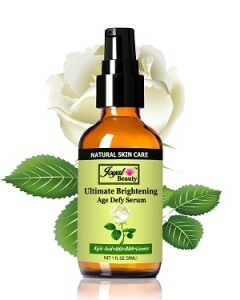 Who should use the Joyal Beauty Age Defy Serum? Anyone who feels that their skin is looking tired and dull and could do with an exfoliating lift. The antioxidants in this alpha hydroxy acid serum help to reduce sun spots and age spots and reverse the effects of free radical damage, so if your skin is damaged by the sun or is dry and flaky, then this serum can be of great benefit to your complexion. 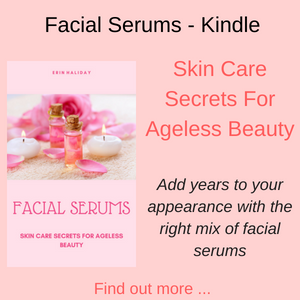 Whilst Joyal Beauty states that this serums is suitable for all skin types, including sensitive skin, just be very careful if you do have sensitive or delicate skin, because generally AHA serums are not recommended for people with sensitive skin. 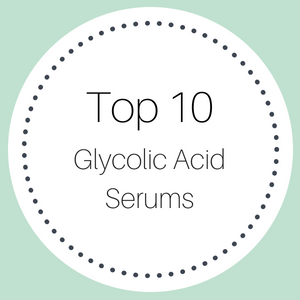 Although there is only a 1.5% concentration of glycolic acid in this serum, at these low levels you might be fine, but it always pays to check with a medical professional if in doubt. 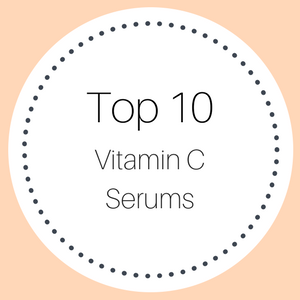 You may also prefer to select either a hyaluronic acid serum or a vitamin C serum, depending on your needs. How do you use the Joyal Beauty Serum? If this is your first time using this serum or any AHA, then be sure to perform a patch test on your skin for a few days, on the skin under your ear just to be sure that it doesn’t irritate your skin, as some people can be very sensitive to glycolic acid. Also, make sure to wear a sun screen at all times outdoors as AHAs can make your sun very sensitive to the sun. Having said all of this, most people apply a few drops of this serum to their face and neck areas, after cleaning at night time. This glycolic acid serum is 98% natural and 72% organic, does not contain parabens, sulfates, phthalates, petrochemicals, mineral oil or alcohol. It is 100% suitable for vegans, is cruelty free and is made in the USA in a FDA certified facility. Glycolic acid is an alpha hydroxy acid (AHA) which promotes exfoliation of your skin, revealing smoother texture and a more even skin tone. At low concentrations, below 10%, glycolic acid can be safely used every day. The exfoliating properties of this alpha hydroxy acid helps to brighten dull and tired looking skin, heal acne prone skin (because it removes all those dead skin cells which block your pores) and removes blackheads and whiteheads. Described by the ancient Egyptians as the plant of immortality, Aloe is a well know skin healing agent, assisting with cellular repair. 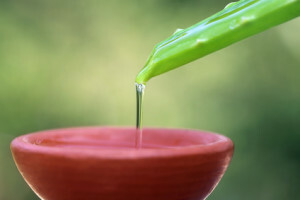 Aloe helps to moisturize your skin, is an anti-inflammatory and contains lots of anti-oxidants which help to fight the signs of aging and reduce sun spots and age spots and evens out your skin tone. Your skin looks healthier, fresher and brighter. Long known for its astringent and anti-inflammatory properties, Witch Hazel helps to relieve itchy, dry skin and to reduce oil in your skin. 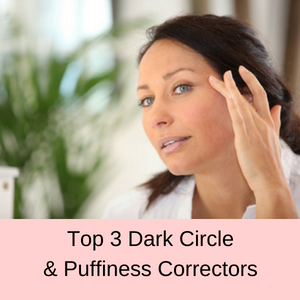 This ingredient assists in reducing acne, tightening your skin and reducing puffy eyes. 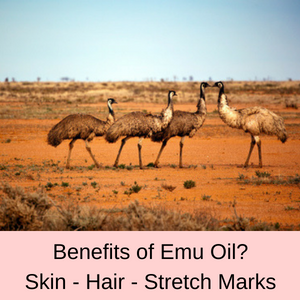 It also helps to heal sunburn, and eases the itchiness of eczema and psoriasis. Known as a vegan form of hyaluronic acid, Cassia Angustifolia Seed Polysaccharide is derived from a plant, native to India and is mainly used for its hydrating properties. The polysaccharides tend to mimic hyaluronic acid which assists in cellular repair and hydration and plumps up the skin, reducing dryness and fine lines. MSM is a compound of sulfur which helps other skin penetrating moisture ingredients to hydrate the skin. It is essential in cellular repair and the production of collagen. Its anti-inflammatory properties help to reduce the effects of acne, eczema and psoriasis, as well as reducing dark spots, age spots and hyper-pigmentation of the skin. Kojic acid is a natural product derived from fungi (mushrooms) and helps to lighten your skin and even out its tone. Its main purpose is to reduce hyper-pigmentation, so it is beneficial for people with dark spots on their skin, freckles and also acne scars. It works by reducing the amount of melanin in your skin, which is the substance that gives your skin is pigmentation. Age spots, sun spots and freckles are areas of higher pigmentation than in the surrounding skin and their appearance can be lightened by kojic acid. You can also use this ingredient to simply lighten your skin, even if you don’t have the problem of dark spots. Reishi mushrooms have anti-inflammatory and anti-allergenic properties which help to reduce the damage caused by free radicals and reduces fine lines and wrinkles. 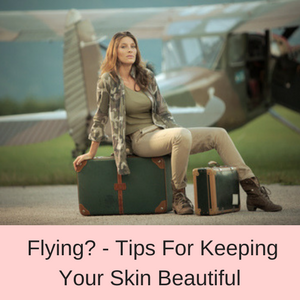 It also helps to suppress melanin production and along with kojic acid, lightens and brightens your skin. Willow bark has both astringent and anti-inflammatory properties and contains salicylic acid that is a natural exfoliant. This means that this ingredient is fabulous in helping to alleviate acne s it reduces inflammation and oils in the skin, as well as removing dead skin cells that can block the pores. Your skin looks refreshed and soothes acne prone skin. Licorice has anti-inflammatory properties and helps on the treatment of acne and other dry, irritating skin conditions. 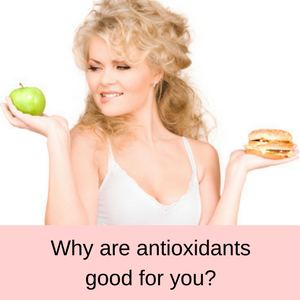 It also helps to reduce dark spots and age spots in your skin and because it is packed full of antioxidants, helps to reverse the signs of aging caused by free radicals. Lemon Balm is a beautifully scented herb that has been used for years to treat skin conditions, because of its anti-inflammatory and anti-bacterial properties. It helps to heal and sooth acne and with its antioxidant properties, protects the skin against damage caused by UV rays. Lemon balm not only smells fabulous, but it is also great for your skin. Chinese ginseng has many antioxidant properties and helps to fight the sings of aging caused by the sun and environmental pollution. It also helps to promote the production of collagen and contains lots of phytonutrients. All of this stimulates your skins renewal processes and brightens and refreshes your skin. Full of antioxidants, horseradish helps to reverse the signs of aging caused by free radicals and is rich in vitamin C it also contains many minerals, such as zinc, iron and magnesium which help in cellular metabolism. Horseradish helps to reduce skin discolorations and blemishes giving your complexion a clearer, more refreshed and brighter complexion. Fennel is a strong antioxidant that helps to detoxify your skin and its anti-bacterial properties help to reduce skin irritations and blemishes. 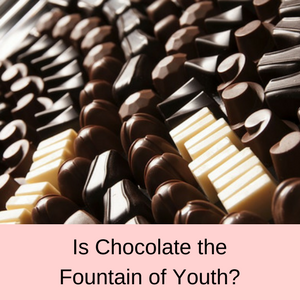 It is chocked full of minerals like iron, copper, magnesium, zinc and vitamins A, C and E. Skin discolorations are reduced and cellular repair is supported. Jojoba oil contains wax esters, which are naturally produced in our bodies, but which decline over time. Wax esters help to your skin hydrated and supple, however as its production decreases, your skin’s ability to retain moisture also reduces. Jojoba oil is also packed full of nutrients such as Omega 6 and 9, as well as vitamins A, D and E. So you have a double punch of added moisture, as well as fatty acids and anti-oxidants to help your skin reverse the signs of aging. Vitamin E is a powerful antioxidant that is essential in cellular repair and is well known for its moisturizing effects. It helps to reverse the signs of aging caused by free radical damage and minimizes age spots and sun spots, evens out your skin tone and increase the hydration in your skin. More than 80% of all customer reviews give this glycolic acid serum a 4 or 5 star rating. Customers find that this glycolic acid serum helps to reduce skin rashes, acne scars and hyper-pigmentation. 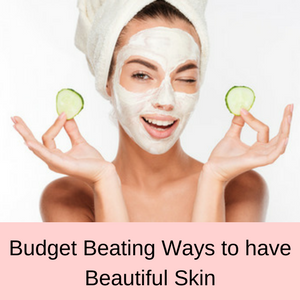 Their skin is also much softer and smoother and feels more hydrated, cleaner and more vibrant. Feels great – not oily and not heavy. I use it every day and am convinced it helped some age spots. This is the best face Serum I have tried. Goes on nicely and feels refreshing. I’ve been using this for almost a month. I feel that my skin a gotten brighter and clearer. Does the Joyal Beauty Age Defy Serum really work? With all of these fabulous ingredients, this glycolic acid serum seems to work really well for the vast majority of customers. 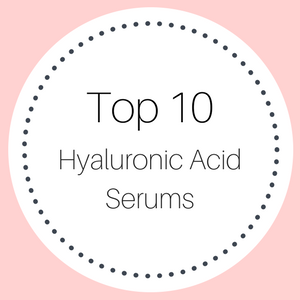 Whilst this serum only has low concentrations of alpha hydroxy acids, it is also unlikely to irritate your skin. Customers really like this serum, so it is definitely worth checking out and including in your skincare routine.